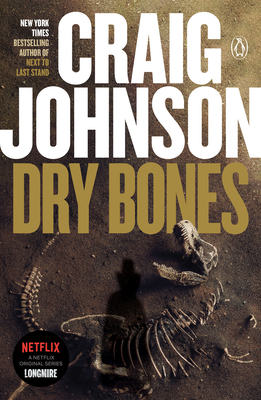 When Jen, the largest, most complete Tyrannosaurus rex skeleton ever found surfaces in Sherriff Walt Longmire’s jurisdiction, it appears to be a windfall for the High Plains Dinosaur Museum—until Danny Lone Elk, the Cheyenne rancher on whose property the remains were discovered, turns up dead, floating face down in a turtle pond. With millions of dollars at stake, a number of groups step forward to claim her, including Danny’s family, the tribe, and the federal government. As Wyoming’s Acting Deputy Attorney and a cadre of FBI officers descend on the town, Walt is determined to find out who would benefit from Danny’s death, enlisting old friends Lucian Connolly and Omar Rhoades, along with Dog and best friend Henry Standing Bear, to trawl the vast Lone Elk ranch looking for answers to a sixty-five-million-year-old cold case that’s heating up fast.